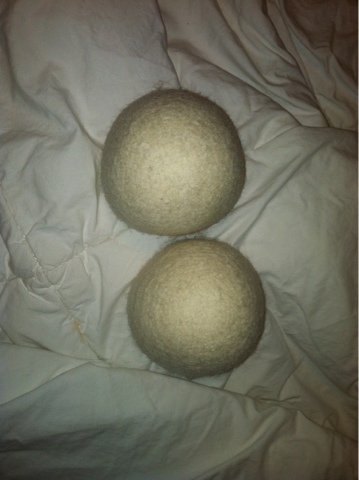 Mamas-- if you are not using dryer balls, you are MISSING out! 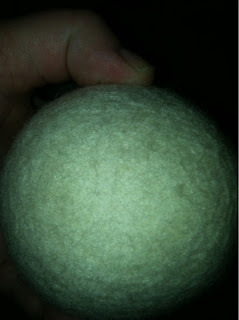 We LOVE dryer balls around here and think Woolzies are AWESOME!! What are dryer balls? 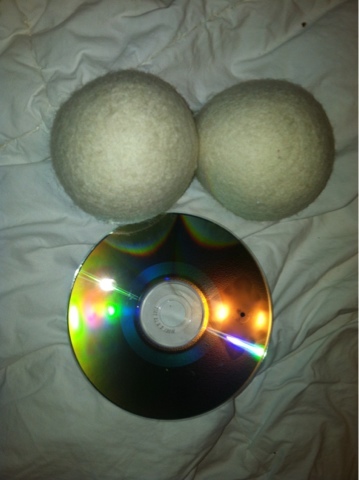 Dryer balls are balls that you place in your dryer. Woolzies are nontoxic wool balls that you place in your dryer. These are ESPECIALLY good for families with skin sensitivities (like my own family), and can replace using a fabric softener or dryer sheets. They are about the size of a tennis ball, and a little squishy. You throw them in your dryer and I usually use 2 for a load, but you can use more or less depending on your home dryer. These dryer balls will actually cut down your drying time (no joke-- I didn't believe it either until I started using them!). My kids love helping with the laundry and throwing in the dryer balls is the perfect job for our smallest, who is 2. Want to try them out for yourself? Enter below for your chance to win a box of 6 Woolzies! MamaBreak received dryer balls to review here on the site. We did not receive any other sort of compensation. As always, our opinions and experiences are our own. I love that they don't leave chemical on your clothes. I love that Woozies are PVC free! I like that it saves you money with reduced drying time and because you dont need to keep buying dryer sheets. I love how big they are! i like that they cut down on drying time and save energy! I have been so curious to try these! I'd love to win! i love that it cuts down on drying time! That I won't have to buy dryer sheets anymore! Reduces drying time by 25%. that i can save money by not having to buy dryer sheets. I haven't gotten to try them yet, but I love that they will cut down on drying time and help save us on our electric bill!!! They make your clothes soft! I haven't used them yet, but am excited that they can cut drying time. I'm hoping for reduced drying time! I like that you can soften your clothes without using chemicals. I like the 100 percent New Zealand wool! I like that it would cut down on the drying time. The thing I like most about Woolzies is that they cut drying time substantially, thus saving both money and energy. I have extremely sensitive skin- so these would be great for me! I like that they reduce drying time and soften clothes naturally. I like that they don't have any harmful chemicals in them. I ♥ mt plastic ones aND THESE LOOK EVEN BETTER! Less drying time and good for environment! Win-win!! They save time and money AND they are eco-friendly. i love that they save me money!!!! I love that it will save me money! cutting down on drying time!! That's great that they will save money and time!! I like the they decrease drying time. That they would save energy by decreasing drying time. I like doing things the "green" way and not use chemicals. I like that they're natural instead of plastic. I like that they are non-toxic and they cut down on drying time! I avoid toxins and don't use dryer sheets or fabric softener! I love that these are reusable and natural! I like that they're chemical free. That they reduce drying time. I love that they are hypo-allergenic and that they last for up to 1,000 loads! Awesome!